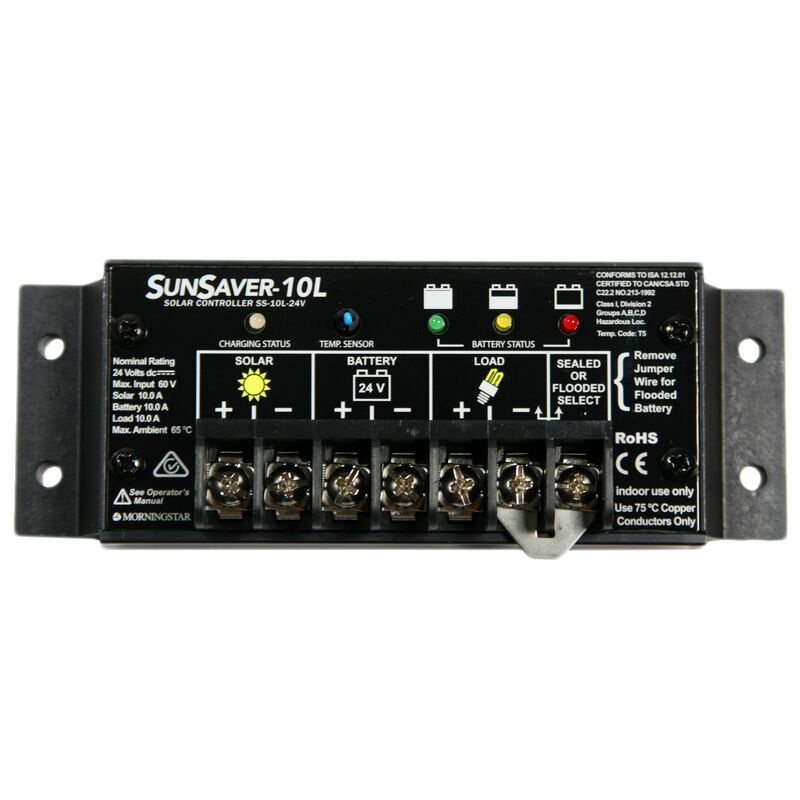 The SunSaver 10 is a high quality, extremely reliable but economically priced charge controller from Morningstar. 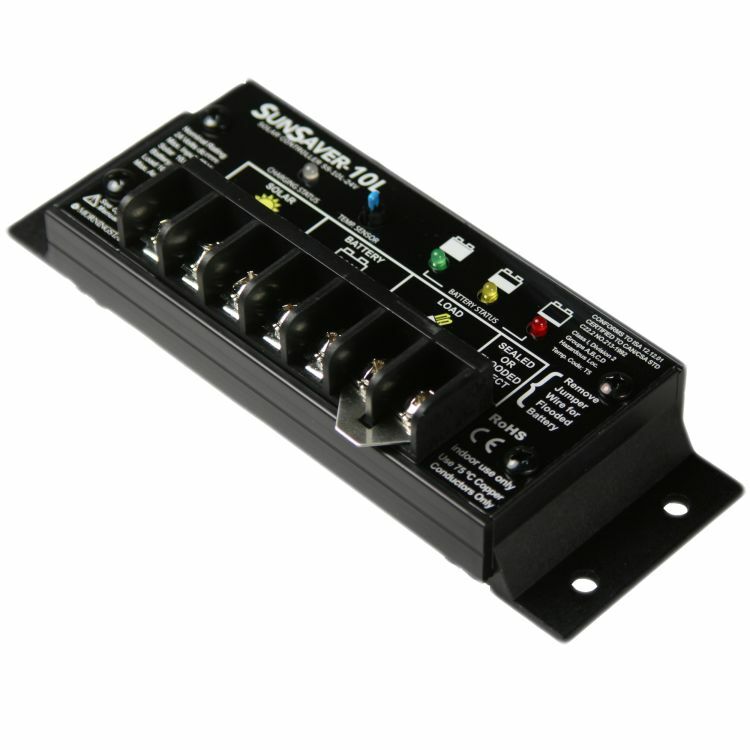 Offering features such as their advanced PWM pulse charging algorithm, selectable battery type and temperature compensation. The Morningstar SunSaver SS-10L-24V-LVD has a Load Low Voltage Disconnect which prevents the battery from being discharged via the Load section when the voltage reaches 23 volts. Once the Load Low Voltage Disconnect has been enabled, the Load section will not reconnect once the battery voltage has risen to 25.2 volts. Since its first market introduction in 1996, over 1 million SunSaver controllers have been installed in over 73 countries for numerous solar power systems including oil/gas, telecom and instrumentation, marine and boating, and remote homes. Morningstar has retained much of their legacy design by designing the controller with the same ratings, footprint and simple user interface, and have added several new and advanced high value features. 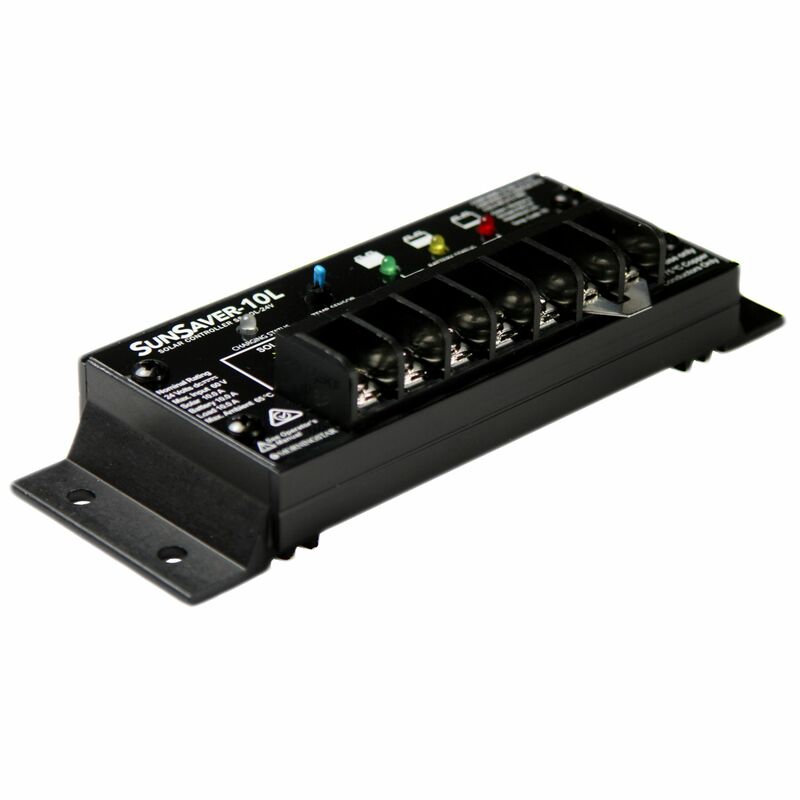 This is a rugged outdoor ready controller with plated brass terminals! *Flat Rate shipping is for the lower 48 states only. Hazardous Locations: ISA 12.12.01 Nonincendive Electrical Equipment for Use in Class I, Division 2 Hazardous (Classified) Locations, Groups A,B,C,D. 2007/04/12. CSA C22.2#213 Non-Incendive Electrical Equipment for Use in Class I, Division 2 Hazardous Locations. 1987/01/03. Do you own the SS-10L-24V? Please, tell us what you think about it. It helps us provide you with better products. Please note that it may take up to 72 hours for your review to appear.